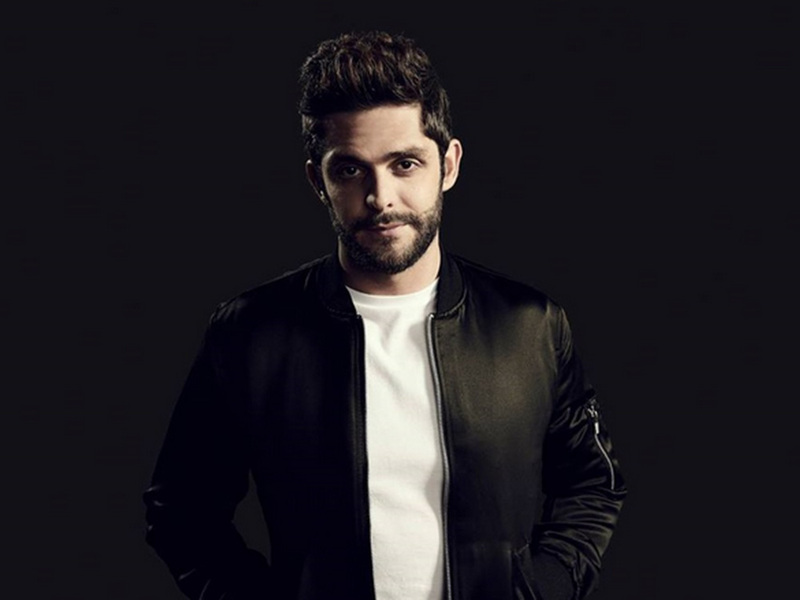 Thomas Rhett has earned his seventh No. 1 song with his latest single, “Star of the Show,” which is No. 1 on both the Mediabase and Billboard Country Airplay charts. The Tennessee native wrote the hit song with his dad Rhett Akins and Ben Hayslip, as an ode to his wife Lauren, who he’s known since kindergarten and married in 2012. “‘Cause everywhere we go girl, you’re the star of the show / And everybody’s wondering and wanting to know / What’s your name, who’s that girl / With the prettiest smile in the world? / Oh, what gets me the most is you don’t even know / That you are, you are, you are the star of the show / The star of the show, baby,” Thomas Rhett sings in the chorus about his wife, who is also the lead female in the song’s video. After finding that the song hit the top spot, TR went to his twitter page to thank radio and his fans for the success of the song he wrote three years ago. TR’s previous No. 1s include “It Goes Like This,” “Get Me Some of That,” and “Make Me Wanna” from his debut album, It Goes Like This and “Crash and Burn,” “Die a Happy Man,” and “T-Shirt” from his sophomore album, Tangled Up.